Extra! Extra! Read all about it! 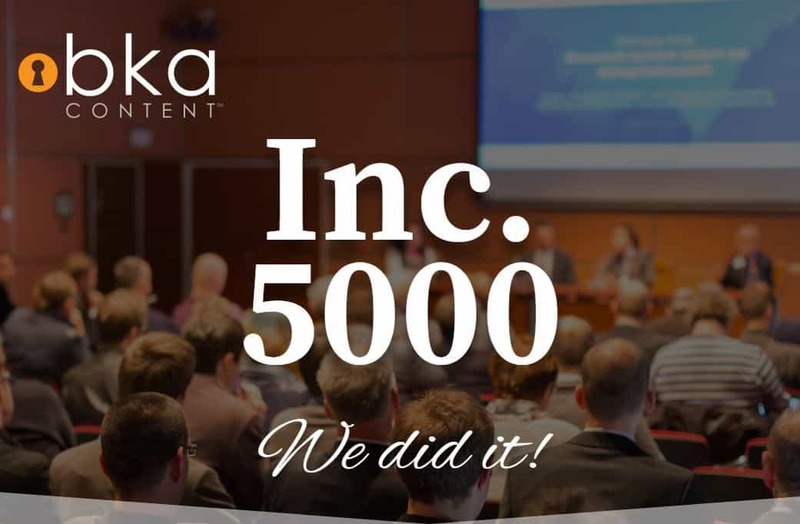 – BKA Content is excited to announce that we made the Inc. 5000 list of the fastest-growing companies in 2018. 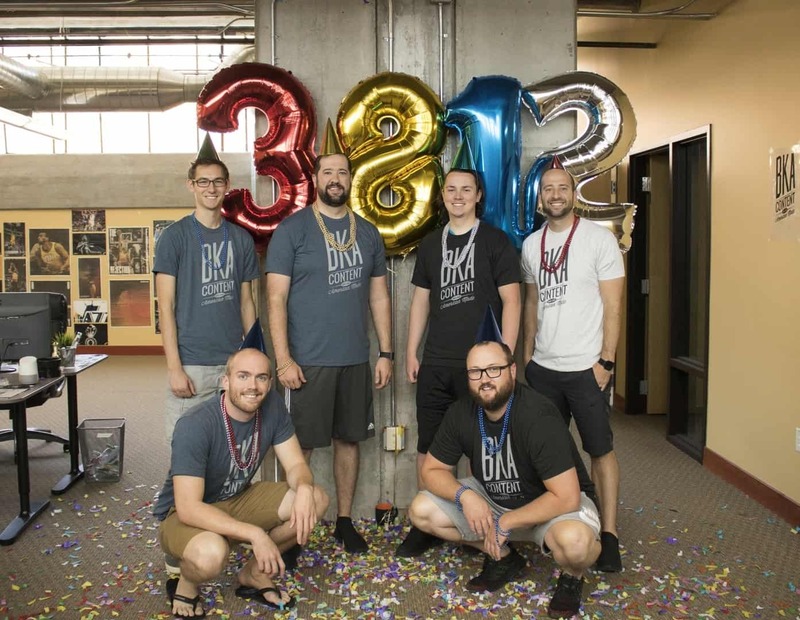 BKA Content ranked #3,812 on the 2018 Inc. 5,000 with a three-year revenue growth of 95 percent. 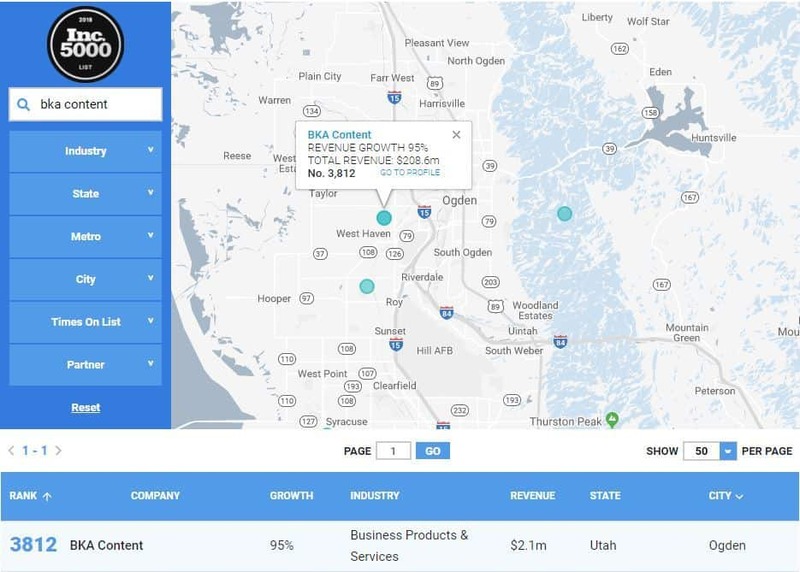 “The fastest-growing companies in America are a force, notching collective revenue of more than $206.2 billion in 2017 and three-year revenue growth rates that top out at 75,661 percent.” – Inc.
Click here to see the full list of companies named on the 2018 Inc. 5000.